The processes of obtaining, preserving, accumulating and recalling Narcissistic Supply take place in the Pathological Narcissistic Space (PNS): an imaginary environment, a comfort zone, which has clear geographical and physical boundaries. The narcissist strives to maximise the amount of Narcissistic Supply that he derives from people within the PNS. There, he seeks admiration, adoration, approval, applause, or, as a minimum: attention. If he fails in one Pathological Narcissistic Space, he relocates and conjures up another. The behaviour of narcissists is very inconsistent. It is as though he has multiple personalities. How can you explain this? The narcissist is chronically depressed and anhedonic (finds no pleasure in life). Unable to love and, in the long run (as a result), unloved, the narcissist is ever in the pursuit of excitement and drama intended to alleviate his all-pervasive boredom and melancholy. The narcissist is a drama queen. Needless to say that both the pursuit itself and its goals must conform to the grandiose vision that the narcissist has of his (False) Self. They must be commensurate with his view of his own uniqueness and entitlement. The process of seeking excitement and drama cannot be deemed by the narcissist or by others to be humiliating, belittling or common. The excitement and drama generated must be truly unique, ground breaking, breathtaking, overwhelming, unprecedented, and, under no circumstances, routine. Actually, the very act of dramatisation is intended to secure ego-syntony. "Surely, the dramatic is special, meaningful, eternal, and memorable" – says the narcissist to himself – "Just like me. I, myself, am dramatic (therefore I exist)." The narcissist – always a pathological liar and the chief victim of his own stratagems and deceit – can (and does) convince himself that his antics and exploits are significant. Thus, existential boredom, self-directed aggression (depression), and the compulsive quest for excitement and titillating drama lead to the relentless pursuit of Narcissistic Supply (NS). The processes of obtaining, preserving, accumulating and recalling Narcissistic Supply take place in the Pathological Narcissistic Space (PNS). This is an imaginary environment, a comfort zone, invented by the narcissist. It has clear geographical and physical boundaries: a home, a workplace, a neighbourhood, a city, a country. Within the PNS, the narcissist is attended to: he is accepted, loved, admired, or feared. When in the PNS, the narcissist experiences a dual sense of belonging and superiority. The narcissist decrees the rules of conduct of the PNS and everyone within is required to conform and obey. In a way, the PNs id a cultish environment with a mild form of shared psychosis. The narcissist strives to maximise the amount of Narcissistic Supply that he derives from people within the PNS. There, he seeks admiration, adoration, approval, applause, or, as a minimum: attention. If not fame – then notoriety. If not real achievements – then contrived or imagined ones. If not real distinction – then concocted and forced "uniqueness". Narcissistic Supply substitutes for having a real vocation or avocation and actual achievements. It displaces the emotional rewards of intimacy in mature relationships. The narcissist is ruefully aware of this substitutive nature, of his inability to have a go at "the real thing". His permanent existence in fantasyland – intended to shield him from his self-destructive urges – paradoxically only enhances them. This state of things makes him feel sad, enraged at his helplessness in the face of his disorder, and at the discrepancy between his delusions of grandeur and reality (the Grandiosity Gap). It is the engine of his growing disappointment and disillusionment, his anhedonia and impotence, his degeneration and ultimate ugly decadence. The narcissist ages disgracefully, ungraciously. He is not a becoming sight as his defences crumble and harsh reality intrudes: the reality of his self-imposed mediocrity and wasted life. These flickers of sanity, these reminders of his downhill path get more ubiquitous with every day of confabulated existence. The more fiercely the narcissist fights this painfully realistic appraisal of himself – the more apparent its veracity. Infiltrated by the Trojan Horse of his intelligence, the narcissist's defences are overwhelmed and this is followed by either spontaneous healing or a complete meltdown. The narcissist's PNS incorporates people whose role is to applaud, admire, adore, approve and attend to the narcissist. Extracting Narcissistic Supply from them calls for emotional and cognitive investments, stability, perseverance, long-term presence, attachment, collaboration, emotional agility, people skills and so on. But all this inevitable toil contradicts the deeply ingrained conviction of the narcissist that he is entitled to special and immediate preferential treatment. The narcissist expects to be instantaneously recognised as outstanding, talented, and unique. He does not see why this recognition should depend on his achievements and efforts. He feels that he is unique by virtue of his sheer existence. He feels that his very life is meaningful, that it encapsulates some cosmic message, mission, or process. Narcissistic Supply obtained through the investment of efforts and resources, such as time, money and energy is to be expected, routine, mundane. In short: it is useless. Useful Narcissistic Supply is obtained miraculously, dramatically, excitingly, surprisingly, shockingly, unexpectedly and simply by virtue of the narcissist being there. No action is called for, as far as the narcissist is concerned. Cajoling, requesting, initiating, convincing, demonstrating, and begging for supply are all acts which starkly contrast with the grandiose delusions of the narcissist. Additionally, the narcissist is simply unable to behave in certain ways, even if he wanted to. He cannot get attached, be intimate, persevere, be stable, predictable, or reliable because such conduct contradicts the Emotional Involvement Prevention Measures (EIPM). This is a group of destabilising behaviours intended to forestall future emotional pain inflicted on the narcissist when he is abandoned or when he fails. If the narcissist does not get attached – he cannot be hurt. If not intimate – he cannot be emotionally (or otherwise) blackmailed. If he does not persevere – he has nothing to lose. If he does not stay put – he cannot be expelled. If he rejects or abandons – he cannot be rejected or abandoned. 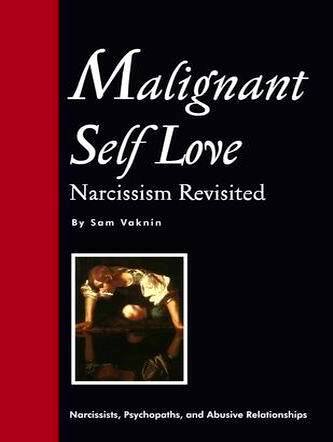 The narcissist anticipates the inevitable schisms and emotional abysses in a life fraught with gross dishonesty. He shoots first. Indeed, it is only when he is physically mobile and besieged by problems that the narcissist has a respite from his maddeningly nagging addiction to Narcissistic Supply. This is the basic conflict of the narcissist. The two mechanisms underlying his distorted personality are incompatible. One calls for the establishment of a PNS and for the continuous gratification. The other urges the narcissist not to embark on any long-term project, to move, to disconnect, to dissociate. Only others can provide the narcissist with his badly needed doses of Narcissistic Supply. But he is loath to communicate and to associate with them in an emotionally meaningful way. The narcissist lacks the basic skills required in order to obtain his drug. The very people who are supposed to sustain his grandiose fantasies through their adoration and attention – mostly find him too repulsive, eccentric (weird) or dangerous to interact with. This predicament can be aptly called The Narcissistic Condition.